For more information on the Olympus M System, see The Olympus M-1 Information Page by Mark Dapoz and Wide Angle's Olympus Catalogue by Jaap Korten (select the Collection link). 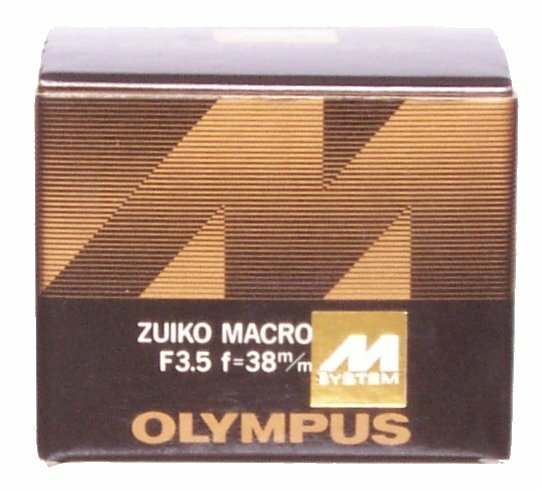 The Macro 38mm was one of the very first OM lenses, and some boxes were made with the original “M SYSTEM” designation. It is not known if any “M SYSTEM” versions of this lens were made. The Tubes are not marked “OM”, so there cannot have been any “M” versions, but some boxes were made with the original “M SYSTEM” logo. 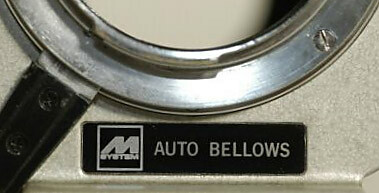 The first version of the Bellows, of which not many were made, has an “M SYSTEM” logo. The “M SYSTEM” logo is on the rear standard, just below the lens mount. 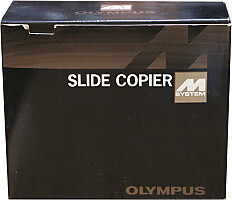 The first version of the Copier, of which not many were made, has an “M SYSTEM” logo. The Stage does not bear a system logo, so there cannot have been any “M” versions, but some boxes were made with the original “M SYSTEM” logo. The first version of the Adapter, of which not many were made, has an “M SYSTEM” logo.